OG Kush is one of the most popular forms of marijuana available in the United States. It’s origins, and even it’s name is shrouded in mystery and open to debate. 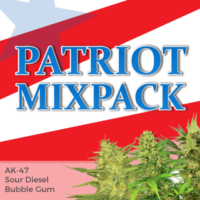 Now available as an autoflowering strain, it loses none of its characteristics, producing unique tasting buds with a potent and powerful high that relaxes both medical and recreational users, inducing feelings of calmness and euphoria. 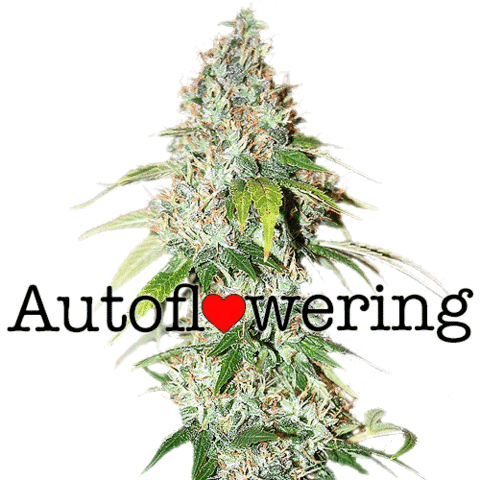 Unlike traditional marijuana seeds, autoflowering seeds combine both the growing and flowering phases, resulting in plants that flower as they grow, and are controlled by age, rather than the number of light hours the plants receive. Where as traditional seeds require 12 hours of regular darkness to flower and mature, autoflowering seeds produce their best yields when subjected to the maximum number of light hours possible. OG Kush autoflowering seeds can be grown outdoors from the beginning of Spring, through until late Summer. Requiring between 8-9 weeks to complete it’s full cycle, allows for several crops to be produced during a single season. Indoor growers will find the variety easy to grow and manage, and by subjecting the plants to an 18 hour minimum light cycle, can produce harvests every 56 days. 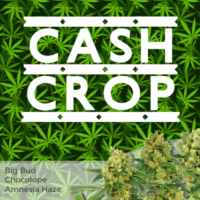 OG Kush autoflowering seeds produce individual plant yields of approximately 5 ounces in approximately 8-9 weeks when grown outside in warm, sunny conditions. Although not the biggest yielding plants, their ability to produce several crops per season from the same space often negates the smaller harvests, when totaled over a complete season. 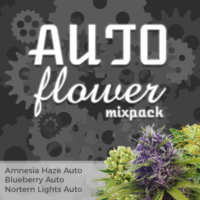 With buds of identical taste and smell to those grown from feminized or regular plants, OG Kush autoflowering seeds provide a fast and easy way to produce your own marijuana. 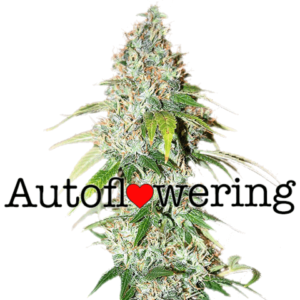 While traditional growers are still vegetating their plants, autoflowering OG Kush plants can be grown, matured, harvested and enjoyed during the very height of Summer. Available now in packs of 5, 10 and 20 feminized autoflowering OG Kush seeds, all supplied with free, guaranteed stealth shipping and assured germination. 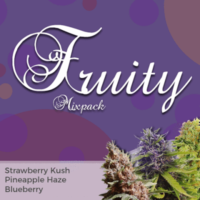 Perfect for both indoor and outdoor growing styles, producing potent harvests of aromatic buds. With a 19% THC content and CBD levels of 0.3%, OG Kush autoflowering is a potent and powerful form of marijuana that’s often prescribed for a wide range of ailments and conditions. Its ability to relax and sedate, assists in reducing stress and insomnia as well as reducing pain, muscle spasms and cramps. It can also increase the appetite and often causes the ‘munchies’ helping to reduce eating disorders.